Nicholas was born in Mt. Pleasant, South Carolina and grew up in Chattanooga, Tennessee. In 2013, he earned a B.S. in Park & Recreation Management from East Tennessee State University. Nicholas has worked with children in the outdoors in Tennessee, Indiana, Oregon, Wyoming, and Colorado. 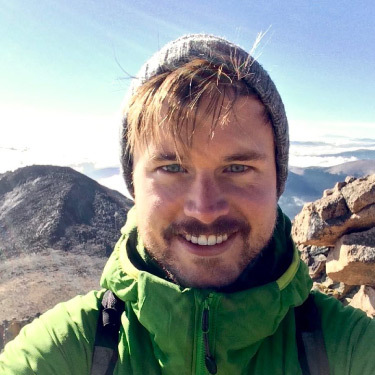 In Colorado, Nicholas worked as an environmental educator for Rocky Mountain National Park and Great Sand Dunes National Park & Preserve. In addition to working with children, Nicholas is also a Certified Interpretive Guide Trainer for the National Association for Interpretation, training professionals in communicating about natural and cultural resources. After experiencing firsthand a wide variety of environmental education organizations, Nicholas plans to open up his own unique outdoor school program for youth in Colorado. You can read more about his experiences in the outdoors through his WordPress blog The Art Outside.